Lightning Strikes Across In A Single Bolt That Measures Over 300 Km! From a distance, lightning can be beautiful, fascinating and terrifying. 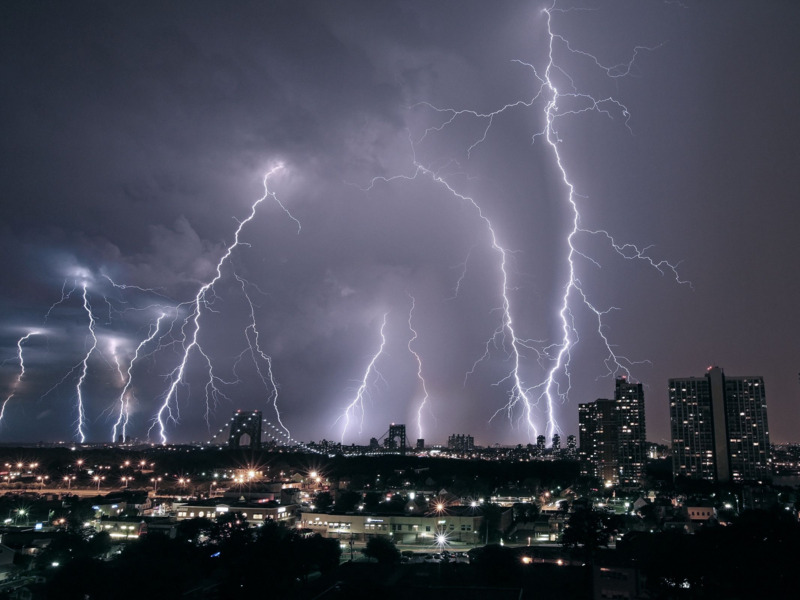 Now, a pair of extreme records recently certified by the ‘World Meteorological Organization’ show that lightning has an even longer reach than previously thought. On June 20, 2007, during a thunderstorm in Oklahoma (USA), a lightning bolt streaked across half the state. This is the longest lightning bolt ever recorded, stretching 199.5 miles, or over 300 km! So just how does a lightning bolt span over 300 km? Most lightning is considered “negative lighting” in which a cloud unleashes a negative charge to the ground. Most of these bolts max out at about 9 km in length. But according to the National Weather Service (USA), roughly five percent of lightning strikes are “positive lightning” in which a positive charge is discharged from top of the cloud to the ground. These bolts carry much more energy and travel up to 40 km and carry ten times the energy of a negative bolt, up to 1 billion volts! If storms are particularly strong and atmospheric conditions are just right, these powerful thunderbolts can travel tens or hundreds of kilometres. So, next time it’s shining in the sky, get inside!